Features 4pcs Pink and 4pcs black. Requires 9V battery (not included). each stun gun measures 5-1/2 x 1-3/4 x 7/8. Display measures 6-3/4 x 13 x 8-1/4. Not sold individually. 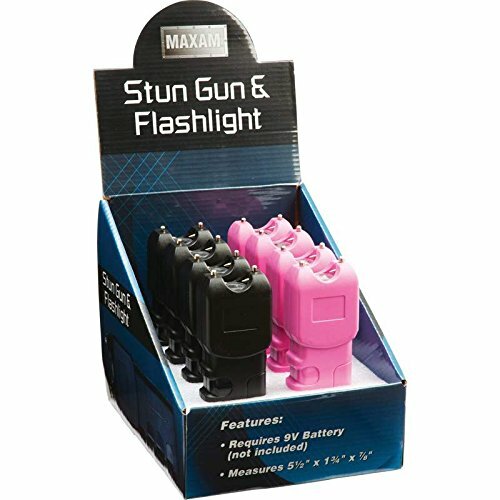 4pcs Pink & 4pcs black requires 9V battery (not included) each stun gun measures 5-1/2 x 1-3/4 x 7/8 display measures 6-3/4 x 13 x 8-1/4 not sold individually ; set of 8.